I know I've hammered on Facebook in the past, but it also has things that I love. As I looked for the Throw-back-Thursday picture last night, I pulled it from a directory of family photographs. These were pictures I scanned from some of my mother's photo albums. It occurred to me that some of my cousins and extended family might not have seen the pictures before so today, I organized them into groups and posted them on Facebook. There were about a hundred pictures in all. I was correct. My Facebook page lit up and I've received a ton of comments and shares. It's fun sharing old pictures with folks who have never seen them. Fine-looking family. Glad you got a lively response on Facebook. They're going to want to see more. 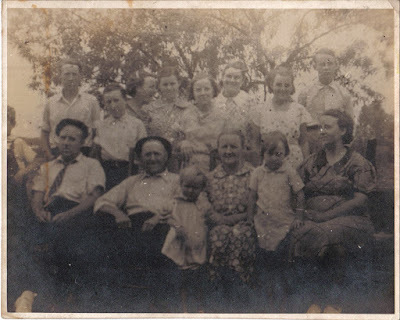 Internet is such a great way to share family histories. I am here to tell you it is a thrill for someone kin to publish a picture of your family you have never seen. It is beyond belief. It happened to me and I am forever grateful. I know your kin was thrilled. Amazing the pictures you do not know that exist. The internet is a great place to share them. 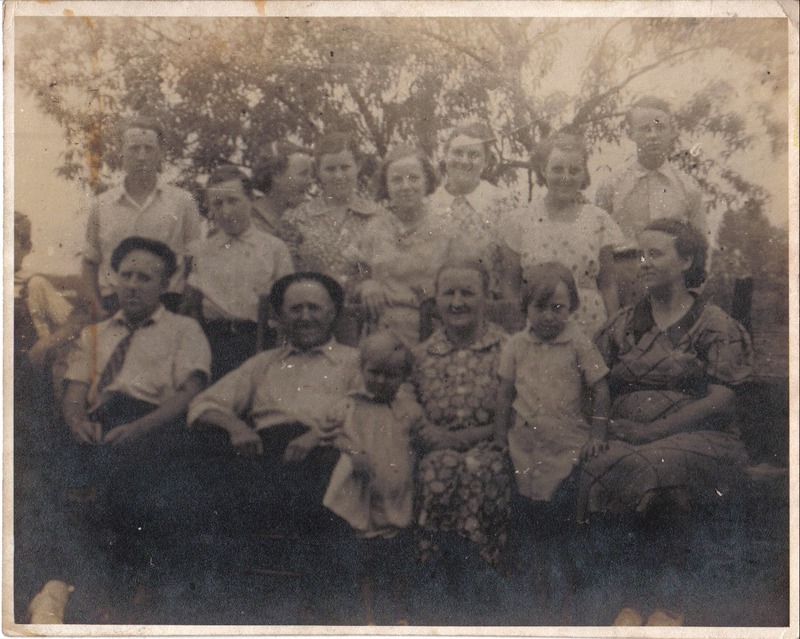 .Good entry and boost to anyone holding old family photos to share them. Years ago, families were very close knit and now they are spread around the globe and loosing that connection to each other. Hooray for you for using Facebook in this way. So glad you got a good response. My DIL down in Pike Road starting doing this on Facebook -- and now I see this! .... Taking this as a sign, it's OK to do the same. I've not that many family members remaining, but I like to think my greats and great-greats would be pleased. It DOES remind one of the Waltons. I believe this is a good use for FaceBook. Many of the other things I see there are not worth my time. I seldom use it.